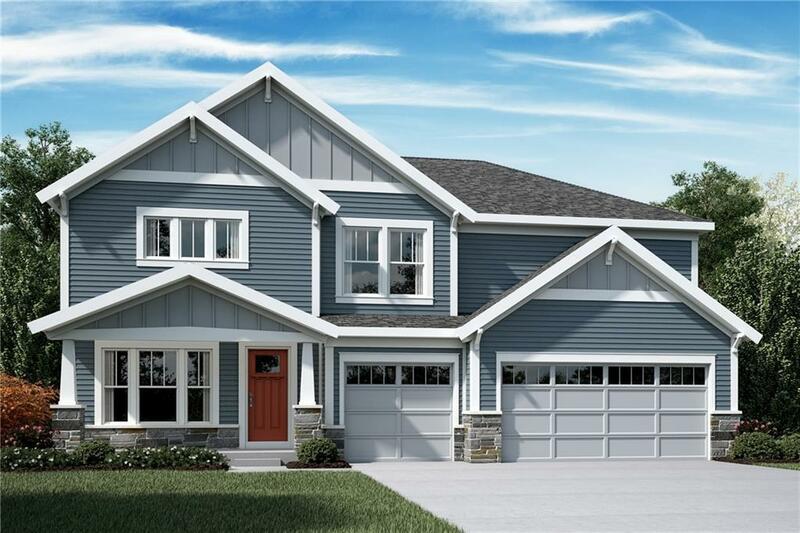 Stunning new Grandin Pacific Craftsman plan by Fischer Homes in beautiful River Rock featuring 9ft 1st floor ceilings & private study. Island kitchen has stainless steel appliances, upgraded maple cabinetry, quartz counters an expanded walk-out morning room to a 14x16 patio with a view to the family room w/gas fireplace. Casual LR could be used as DR. Owners suite w/tray clg & en suite w/double bowl vanity, soaking tub, separate shower and large walk-in closet. 3 more bedrooms & 2 more full bathrooms. 2nd floor laundry & HUGE bonus room. 3 car garage.